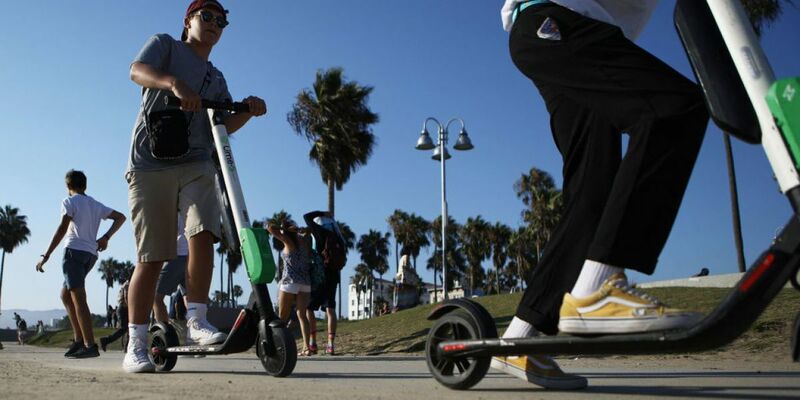 DELRAY BEACH, Fla. — At Tuesday’s Delray Beach commission meeting, leaders are set to consider a ban on dockless scooters even though the city doesn’t have any. You might have seen them before, visiting a place like Washington, D.C. or San Francisco. Using an app, you can locate one parked close to you, connect to it and hop on. When you’re done, park it and go about your day and someone else can take a ride. Pricing on one of the more popular scooter companies called Bird costs $1 to connect and then anywhere between 15 cents to 20 cents per minute. They are battery operated. Supporters say they’re a clean, efficient way to get around a downtown area. “Fantastic mobility option for last mile kind of activities,” said Richard Paul-Hus, who was visiting Delray Beach from Gulf Stream. He often rides them in major cities, like New York, he says. Detractors say they are a nuisance: they can often clog sidewalks once riders are done. There’s even an Instagram dedicated to their demise. And cities are struggling to regulate them. A mom and daughter were hospitalized after they crashed riding them near San Diego. They weren’t wearing helmets. The city considered banning them after, but it failed, despite pleas from the husband/father to city council. Even though they aren’t here yet, Delray is looking at following cities like Milwaukee or recently Hollywood, Florida in banning dockless scooters outright. “For me, I think we’re going a little too far,” said Delray Beach Commissioner Ryan Boylston. Boylston agrees that there should be safety measures in place, like requiring them in bike lanes and wearing helmets, but suggests the city follows the San Francisco model, which had originally banned them, and are now slowly bringing it back. “Although it’s still a dockless program, there are designated areas, i.e. bike racks that are acting as the docks for these scooters. So, that pilot program is going very, very well,” he said. As of right now, the item is on the agenda for Tuesday in its first reading. The meeting starts at 4pm.